If you’ve ever hit upon a cool idea for a meme but couldn’t be bothered to spare the time and effort to actually create one, you can now summon Google Assistant for its help. That’s because a new feature available on the world’s most intelligent AI-based voice assistant will allow it to create customized, made-to-order memes according to your instructions. 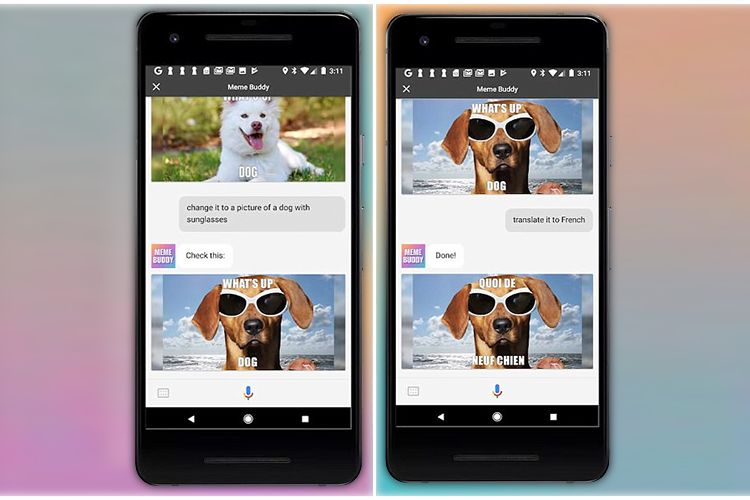 Called ‘Meme Buddy‘, it’s an experimental feature created by web developer Mike Bodge using Dialogflow, Firebase and Actions on Google. As with all other Google Assistant interactions, you can use your voice to tell Google Assistant the type of image you’d like to use for the meme and, the message it should display. It could also create an entirely random meme if that’s what you want. Creating a meme is really easy with the new feature, and the video above demonstrates how the process works for the most part. You can not only ask Google Assistant to create the meme, you can also ask it to change the picture if you want something more specific. As if that wasn’t enough you can even translate the text to any of the languages supported by Google Assistant. 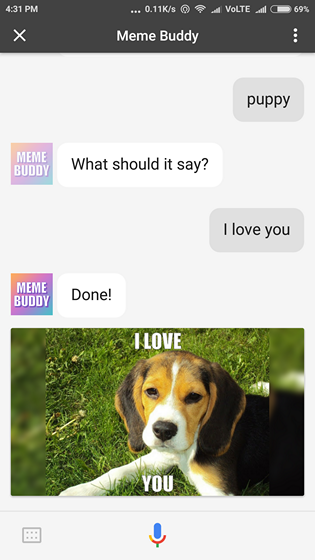 If you’re interested in trying it out for yourself, you can fire up Google Assistant on your phone and say ‘Talk to meme buddy’ to activate the feature. You can also click through this link and then tap on the ‘Preview it Here’ button at the bottom of that page to create a custom meme right there. While trying out Meme Buddy, the one thing you need to take note of is that the feature is only available with the latest version of the Google app. So if ‘Talk to Meme Buddy’ isn’t getting you the response you’re looking for, you may have to install the latest update before you can see it in action. I have version 7.15.21.21.arm64 (beta) installed on my phone and as you can see above, everything works as expected.